Renzo Vitale is an Italian pianist, composer, and acoustic engineer. His creative process involves an interrogation of the dichotomy of music and science, which inspires his endless commitment on questioning about human perception. Renzo Vitale holds a PhD in Acoustics from RWTH University (Germany), two Master degrees (in Electronic Engineering and in Piano) as well as further studies in electronic music, composition and conducting. His research encompasses architectural acoustics, psychoacoustics, and music communication. Previously he has been a research scholar at the Institute of Technical Acoustics in Aachen (Germany), Pratt Institute in New York City and KTH in Stockholm. Vitale's numerous accolades for his research include prizes (DEGA, AIA), scholarships (Daimler-Benz, DAAD, Boncompagni-Ludovisi) and grants (SID, EAA, Filauro Foundation). 2012 marks the release of his first piano solo album, self-produced, titled ZEROSPACE. Recorded at Avatar Studios New York City by Jay Newland and mastered by Mark Wilder at Sony Battery Studios, this Album features a collection of tales inspired by the quest of beauty as driven by resonating empathies of dark romanticism. Vitale's second Album STORM, inspired by the sublimity of emotional gravities and the turbulence of souls' collisions, premiered in 2013 in Germany as the soundtrack for a new Tanztheater-piece based on Shakespeare's play "The Tempest." 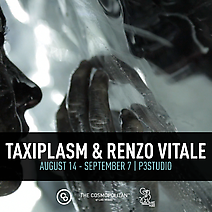 Vitale will be Artist-in-residence together with artist Brian Gonzalez in 2014 at the Cosmopolitan of Las Vegas, where their performative installation "Tell Me Your Secrets" will be exhibit. Renzo Vitale is a Contaminate.co artist.